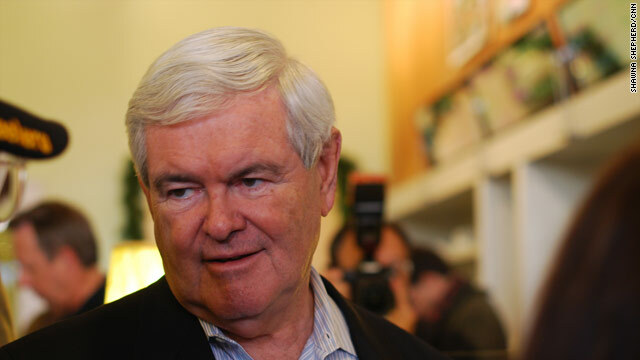 Algona, Iowa (CNN) - Newt Gingrich cited fraud Wednesday as the reason he didn't get on the Virginia primary ballot. Last week his campaign acknowledged they used paid volunteers to scramble to get the required 10,000 signatures but fell short after the former House speaker and Virginia resident boasted his campaign was submitting as many as 12,000-14,000 signatures. On a campaign stop at an Algona chocolate store, the former House speaker said the "mistake" occurred because one of their workers committed fraud. "We hired somebody who turned in false signatures. We turned in 11,100 – we needed 10,000 – 1,500 of them were by one guy who frankly committed fraud." The campaign called the Virginia ballot qualification process a "failed system" after they learned that former Massachusetts Gov. Mitt Romney and Texas Rep. Ron Paul were the only candidates that were successful. I guess one who takes responsibility for the actions of the people around them confuses you people don't it. As Eric holder said to the committee investigation of fast and furious. A lie can only be a lie if you intend to lie. Sad is the truth for which you people live. To the electorally-challenged, "paid volunteers" means the workers hired were not campaign vetted staff. That odor of fish you smell comes from Chicago. . . . PAID VOLUNTEERS? an oxymoron that the Dems use all the time.